We are disappointed to see that the South Lake Tahoe City Council appears ready to water down its efforts to set sensible guidelines for vacation home rentals. The League to Save Lake Tahoe does not oppose vacation home rentals, and we realize that much of the debate and controversy relates to neighborhood and community concerns. Our focus more narrowly addresses the environmental impacts that the disorderly expansion of vacation home rentals will have on Lake Tahoe. Studies have shown that when homes are used as vacation rentals, they are associated with more cars and more car trips than when homes are used as primary residences. No one needs to be reminded of the explosion of traffic at Tahoe, where we now welcome more annual visitors than the top five national parks combined. All that traffic results in pollution that degrades Lake Tahoe’s clarity. One way we can make it easier to reduce visitor car trips is by encouraging visitors to stay in our tourist core. We want to enable visitors to more easily get to restaurants, entertainment or the shoreline without getting back into their cars for every trip. That’s why we had been encouraged by the direction that the city had been headed under the leadership of Mayor Austin Sass. 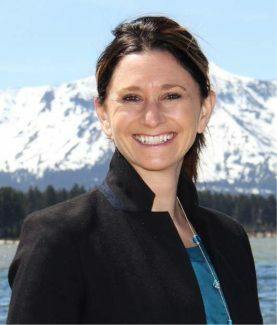 When the Tahoe region updated its regional plan in 2012, one of the most notable features was how it delegated decision-making power that had been held by the Tahoe Regional Planning Agency to Tahoe’s local jurisdictions. This is exactly the type of opportunity where the city could now choose its own path. It’s an opportunity to demonstrate leadership, gain trust and credibility, and enact policies that protect the Lake. The whole region is looking to South Lake Tahoe for leadership on the thorny issue of vacation home rentals. The City Council still has the opportunity to get back on track and explore a set of stronger policies more in line with those that were supported by the city’s extensive research and that had been laid out by Mayor Sass, one of the most important elements of which was the intent of having more of the rentals located in our tourist core. If the city instead chooses to duck its responsibility now, it will leave the region in need of other means of finding protections for the lake.